M 201 TG, Dynamic Microphone from Beyerdynamic in the M series. 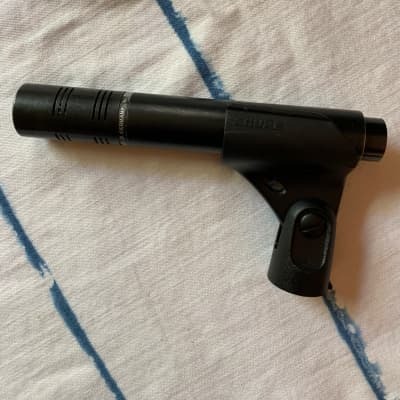 mrjason's review"Very good microphone, wish it was a little cheaper though"
When it comes to instrument microphones it can be difficult to pick the right one for what you need to do. We have been through so many different instrument microphones and some we like and some we don’t. The BeyerDynamic M 201 TG gives use a clean and respected sound. We just didn’t like the price tag that is on it. For some reason I felt like this microphone was a little over priced considering some of the other microphones that BeyerDynamic makes that sound very similar to the M 201 TG but cost about 30 percent less than it does. Some instruments in your studio or on stage are hard to microphone up because of the space around the instrument and it could be a tight squeeze in order to get a microphone back there. 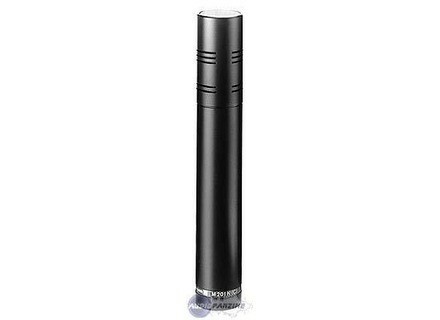 The M 201 TG is a slim microphone that can reach back to those hard to reach places. This microphone also does a great job of not interfering with your speakers and monitors because it has a special coil design. It will allow you to have it very close to all of your gear without it causing issues to your other gear or audio quality. 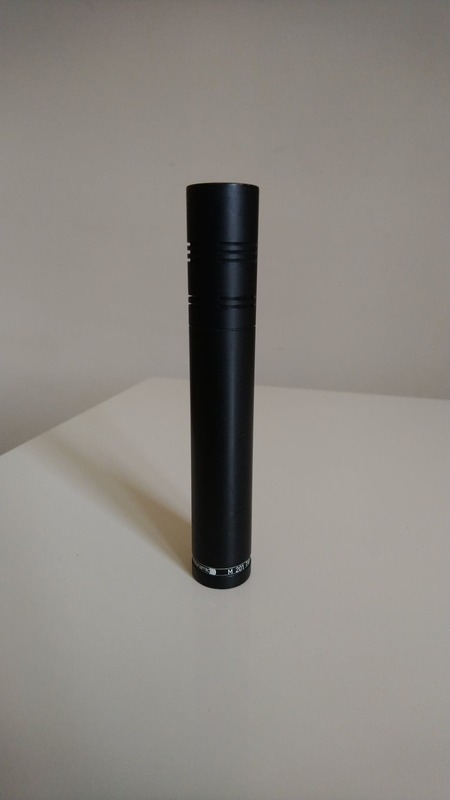 This is a great hypercardioid polar pattern microphone, it has a 3 pin connector and a well built frame. The M 201 TG should hold up for a long time and be your tuff to reach places microphone especially in a cramped studio like ours or small stage where all of the gear might be crammed together. We do not use this microphone all the time but it is great to have it for some situations. The sound is crystal clear no matter what you record with it. If the price was a little less we would probably purchased a couple of these. BeyerDynamic has always made great microphones but for some reason I feel they overpriced this one just a little bit. If you have the money to spend, check out the TG V90r by BeyerDynamic. The Beyerdynamic M 201 TG is a hypercardioid dynamic microphone with a very accurate natural sound to it. This microphone is affordable and it will last you a long time because it is built to last. It comes with a small pouch to carry it in. The Beyerdynamic M 201 TG is a great microphone for a long list of different instruments. Generally this microphone is used for recording purposes but it can also be used in a live situation if you want it to be. We have used this microphone for snare, toms, and as an amp microphone. It will really capture the true tone of the instrument with little to no EQ needed. You can use this microphone to get it to your hard to reach areas that you need to record. 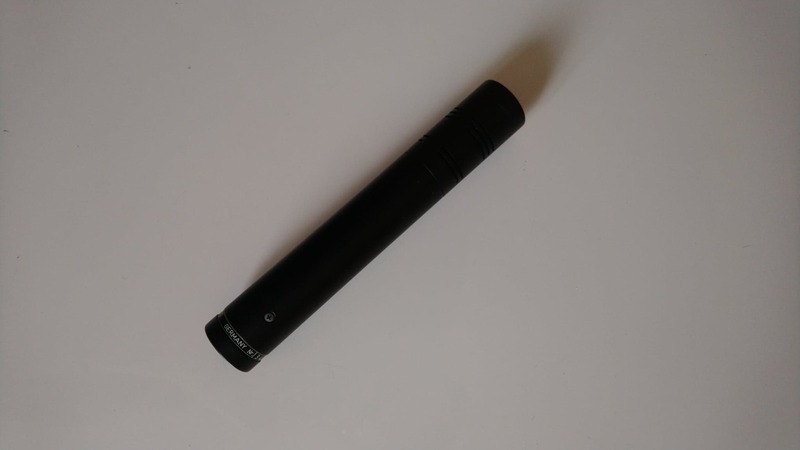 It is small and can fit in tight spaces, you can also use this microphone as a vocal microphone but if you do keep in mind that the voice you are recording needs to be a full sounding voice. More for a male tone voice, because when we used it with a female vocalist it sounded really thin and like a cheap microphone. We have used this microphone for around 2 years, it sounds great for some of the Pearl Kits that we used it on and for the snare it brought out that rock “wetness” of the snare we where looking for at the time. When it comes to versatile microphones there are a bunch of them out on the market including the SM57, but the Beyerdynamic M 201 TG will make the SM 57 sound horrible in sound test. We are happy with our purchase of the M 201 and hope that it will continue to last us a long time like it has already. The sound quality is amazing and all for an affordable price. Ultra versatile, like a SM57 but much better! It's the best mic I found for a rock or heavy metal snare. Also great to record distortion and crunch guitars. SM57, Beta 56, Audix I5, etc. There is no big difference in price compared to a SM57. I own two. If I could I would buy a truckload of them!!! Slipmurd's review (This content has been automatically translated from French)" Good price / quality ratio!" This is a dynamic microphone designed for instrument miking, live and studio. I use it for several months now. I bought a little trusting to the reputation of the brand. I had a microphone in the style of SM57, but hey that's the seen and the seen, everyone has one, I needed to get out of the "standard Shure" that everyone follows a few by default. I love its versatility: I used to catch harmonica (for the technical side, he was placed at + / - 15 cm of the instrument, not really in line. It was "coupled "a Sennheiser E835 (type SM58 microphone), up against the gate, to Toots Thielemans. mixing of the two gave a surprisingly good result!). It may give not too bad on a snare drum effect. It can help in sound, but there are still j'pense best to properly transplant a snare ... That said, as he readily accepts high level of intensity, it can be very convenient for everything percussion! I also had to record a glockenspiel (kind of small métalophone without resonator tube below), a big microphone on 20taine cm from the top, off center, slightly askew, very very conclusive results, while the instrument in question not necessarily sounded good at the base. The voice goes pretty well, have to manage the proximity effect. Do not forget the pop filter of course. For the price, it's really not bad to have too much bad voice, both spoken than sung. SPEAKING OF PROXIMITY EFFECT: it is HUGE on this microphone, tape 10 dB below 200Hz for a near 1 cm, 6 dB for close to 10cm, and it is only at a just under a meter that is beginning to have a frequency response approximately neutral. This feature is not really annoying in taking on his amp, or when the microphone is not used very close, but personally I am not yet reached to get it right with an acoustic guitar, sound does I think not at all balanced when looking for a plan similar to guitar. It becomes so when you put the microphone of a 50taine cm, it looks pretty good, but it's at all the desired effect! The same applies to voice, and this is also where you see that it is not done. But hey, managing just the EQ properly, it becomes correct. I also did some experiments on bass amp, not super convincing, but with a good amp to 100 € and an old Ibanez which is not worth much, it's always hard to have something correct. I think with the same budget I would do this choice, except with regard to the acoustic guitar (although one day perhaps I will find the position that miracle that it sounds), it makes me good service. As already said, I find it also has a fairly low output level, I owe a lot to push the preamp to get something decent.